It’s unlikely that anyone today may still have doubts about the fact that India in recent years has been playing a pivotal role in Washington’s strategic plans for the Asia-Pacific region. 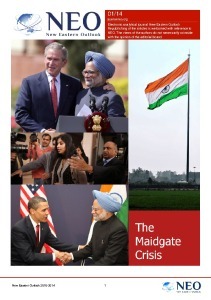 Former American presidents, namely Bill Clinton, George Bush and Barack Obama would all visit India to underline the growing importance of New Delhi for the United States, while the latter of them has boldly described India as one of the principal allies of the United States in the 21st century. The Indian economy that has been riding the tide of booming IT businesses enjoys such advantages as cheap labor, high number of English speakers among the native population along with a rapidly emerging middle class that has this sort of sympathy towards the US comparable to the one that could be observed in China in late 80s. In turn, Western think tanks seem to be tempted by the opportunities granted by Washington’s capabilities to enter the Indian nuclear market, while carry on shipments of billions of dollars worth of arms to India. New Delhi’s support can also provide Washington with a number of political points to support the steps it makes in the Middle East, Central Asia and South-East Asia. There’s no arguing that due to the layout of the rapidly emerging new world order, New Delhi will compelled to play a role of the natural counterweight to China, which makes it particularly attractive for Western political elites, along with the fact that New Delhi has been limiting the number of options that Islamabad has in pursuing its regional goals. In turn, Washington’s further rapprochement with New Delhi grants the former an opportunity to establish control over its development in a bid to prevent India’s emergence as a direct competitor of the Unites States. It goes without saying that should Beijing draw India to its side, the consequences would be absolutely catastrophic for the US hegemony. It’s curious that Washington’s desire to establish closer ties with India has been receiving a lot of lip support from New Delhi’s political elites, since the generally anti-Western rhetorics that dominated Indian political life all through the Cold War became increasingly muted in the 90s. So it’s no wonder that establishing closer ties with the West, that is being dominated by the United States has recently become one of the top priorities of Indian foreign policy. That’s how by 2016, India became the most frequent participant of Western military games out of all the allies that Washington still has across the world. Further still, the military trade turnover increased by the mind-boggling 17 billion over the period of 2011-2016, transforming New Delhi in the second largest importer of American weapons and equipment. However, Indian political figures have been voicing fears of New Delhi becoming a military tool of Washington for a long while, while India is reluctant to pursue someone’s else strategic interests when it’s not able to pursue its own at the same time. Thus, once the US initiated a trade war with India it resulted in a number of serious corrections in the ties New Delhi would try to establish with Washington, pushing the former closer towards China. 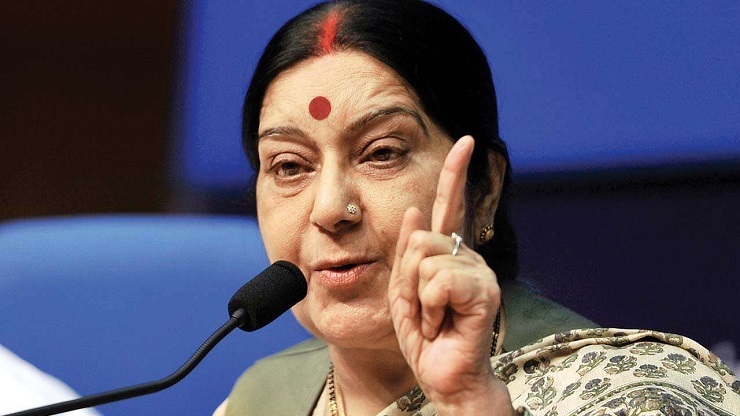 As it’s been recently pointed out by the Indian foreign minister Sushma Swaraj , India would only recognized sanctions imposed by the United Nations, since it has no intention of accepting those aggressive steps that the West has been making against it as legitimate. By making this statement, the Indian foreign minister has vividly demonstrated Washington that New Delhi has little tolerance when it comes to Washington’s attempts to push it around, even though most of America’s allies have been receiving similar treatment for a long while. 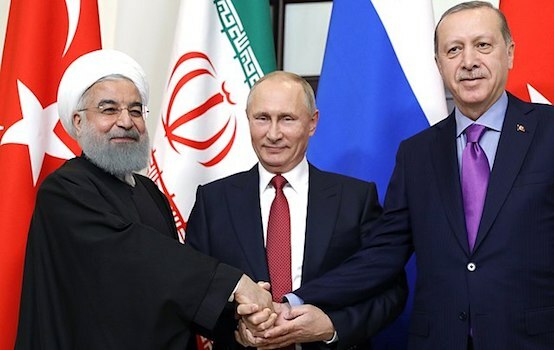 To make the matters worse, Washington has been actively pushing New Delhi in abandoning ts imports of Iranian oil completely, in spite of the fact that those play an important role in sustaining India’s economy. That is why New Delhi increased its imports of Iranian oil by 114% last March alone. As the Indian continues to grow rapidly, it’s unlikely that this country’s appetite for hydrocarbons will be any less rampant in the coming years. That it is exactly why India will not turn its back on Iranian oil, especially in the name of sustaining America’s primacy in the world. Under these conditions, even with Washington declaring its commitment to build “stronger ties with New Delhi,” they are not nearly as strong as Western think tanks want us to believe they are, since India chose to neglect Washington’s demands for the sake of defending its interests, which any sensible country should do. A similar scenario has recently occurred with Washington’s demands for New Delhi to cancel its deal on the purchase of Russia’s top of the line S-400 air defense systems. Washington warns India of sanctioning it over those missile systems with both the US State Department and the Pentagon making every play in their book to bury the deal, as it was made clear by the American under secretary of state for arms control and international security, Andrea L. Thompson. However, all those threats, pleas and demands have been falling on New Delhi’s deaf ears. Recently, the United States and India have signed the so-called Communication Compatibility and Security Arrangements (COMCASA), giving New Delhi an opportunity to purchase American high-tech equipment communication security systems. Previously, such equipment was not included in the list of military equipment that Washington would want to sell to India. However, by signing COMCASA and agreeing to reduce purchases of Russian weapons systems (in accordance with America’s Law on Countering America’s Opponents through Sanctions), India has indirectly recognized the extraterritorial effect of US laws on itself. This, however, hasn’t bring the positions of Washington and New Delhi any closer to each other on the planned purchase Russia’s S-400 air defense systems. What the West still fails to grasp is that India is a great power, the influence and military capabilities of will only carry on growing. Moreover, historically New Delhi would choose to pursue a multi-vector policy, while refusing to join any camp. So it’s unlikely that it’s going to surrender its own interests to Washington this time around. Further still,India will remain in th foreseeable future will remain a field of fierce competition among leading arms manufacturers, which means that New Delhi will choose to side with the supplier that will offer it the most bang for the buck and not the other way around.